Why Cleaning of the Air Ducts in Your Home is Necessary? Maintenance of home is a real important task and one that will require a lot of your attention. If you don’t do the maintenance right you will have to do the renovation a lot sooner than you planned. For maintenance the major part is keeping clean the home and things within. Now, when we talk about cleaning one specific type of cleaning has always been debatable that is of the ductwork. People often argue that it isn’t necessary to get the air ducts clean. Here we will discover whether or not that statement is true. Duct cleaning refers to keeping the heating and cooling systems of the house clean. This no doubt includes a lot of ductwork but not all needs to be cleaned always. One household chore many people dread is cleaning floors. However, this may change because of the promise of the innovative steam mop. Steam technology can be used to leave your floors sparkling. This can help to reduce your cleaning time. Here are some advantages of a steam mop. Here are some benefits of buying a steam cleaner. 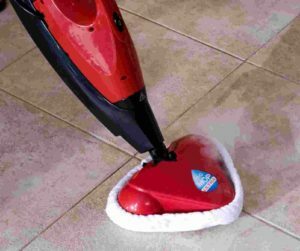 A steam mop can be used to clean glazed and sealed hard floors including stone, tile, linoleum, marble, hardwood, bamboo. Many steam mops allow you to adjust the steam level in order to suit the floor’s surface.